I appreciate all those who visit my website and I would love to stay in contact. Over the past 40 years of painting, my works may have also found new homes. For those who have collected my work or stumbled upon them, I would appreciate knowing how my pieces are doing and who their new owners are. Thank you, and hope to hear from you soon. I'm always curious about photographs people have that document family gatherings and communities that have changed. 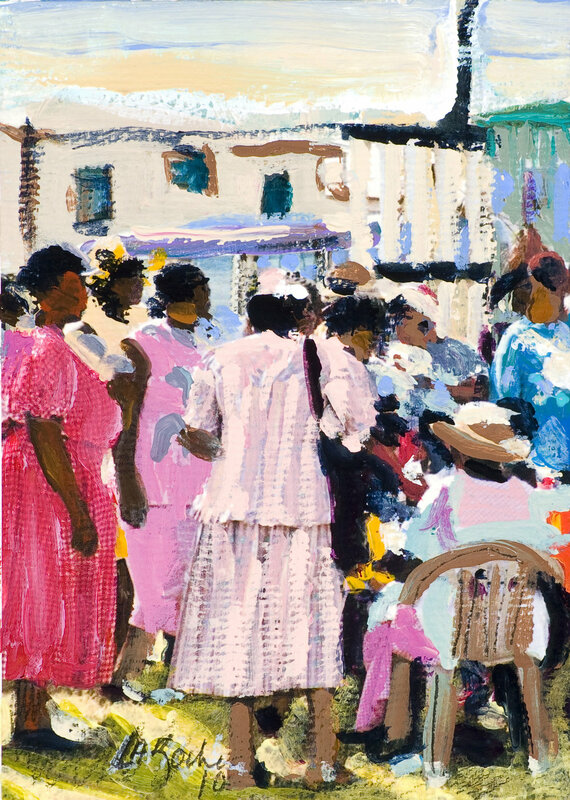 From family collections to travel, any moment of someones life can inspire new work. When filling out the form below, let me know if you want to engage, commission, or have interesting things to share in the subject line. Keep me updated with the latest Changes. Thank you for your interest and time. I look forward to reading your comments and responding to them within the next week. Hopefully the tech gremlins won’t interfere, but if they do and you don’t hear a response from me within the week, feel free to message me again.